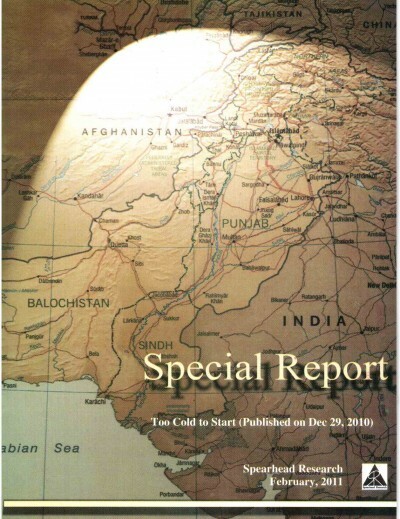 ← Why the trip to Saudi Arab by Imran Khan? The killing of Jamal Khashoggi has proven to be a flashpoint that has created a global impact. Jamal’s death was only recently confirmed- after weeks of terming him as a missing person. It is believed that Khashoggi derives much significance from what he was—a credible Saudi journalist for the Washington Post residing in the US. It is said that his killing gained significance in Western media because it was seen as a symbolic blow to ‘freedom of speech and free media’. The event has created a geopolitical ripple effect. Khashoggi is described as a key reliable source of information for Western journalists and academics inquiring about Saudi Arabia. However, in the recent past he also attracted attention owing to his critical views of the Saudi Crown Prince. The who and why behind Khashoggi’s killing remains unsubstantiated- though a popular perception believes that Khashoggi’s criticism of the royals may have been a reason of his killing. So far, it has been established that his killing was carried out at the Saudi Consulate in Turkey. President Erdogan has recently enunciated strong statements, claiming that the “savage” killing of Jamal Khashoggi inside Saudi Arabia’s consulate in Istanbul was “planned” days before his murder on October 2. Erdogan has said that he still needed answers from officials in Riyadh— Erdogan’s statements are largely viewed as an implicit accusation of the ‘royals’ of playing a part in the assassination. Graham E. Fuller- former vice chairman of the National Intelligence Council at the CIA- notes that the murder of Jamal Khashoggi in Istanbul, has enabled Turkey to gain leverage over the Kingdom. Ankara’s staged leaks of details of the event has weakened the Kingdom’s position and offered nearly everyone -including Washington, an opportunity to apply pressure on the Kingdom. However, Turkey is unlikely to use this event to rupture ties with the kingdom but instead may seek financial assistance. James M. Dorsey- a senior fellow at the S. Rajaratnam School of International Studies- notes that Turkey and Saudi Arabia differ on multiple issues such as: Iran, Qatar, Muslim Brotherhood. In the wake of Khashoggi’s killing, Turkey appears to be leveraging the case to enhance its position as a leader of the Islamic World and reposition itself as a key US ally and potentially garner economic advantage at a time when it is struggling to reverse a financial downturn. Turkey has so far leaked assertions of evidence it says it has of Khashoggi’s killing rather than announced them officially- In doing so it has also emerged as the Kingdom’s hope for crafting a face-saving way out of the crisis. From the wide range of issues in which Turkey could use its current leverage one could be Erdogan’s demand that Saudi Arabia drop its support for Kurdish rebels in Syria– a move that would also simultaneously boost Turkey’s position in the Turkish-Russian-Iranian jockeying for influence in a post-war Syria. The recent turn of events has also created a predicament for the US – compelling it to choose between interests and values. Some believe that the death of Jamal Khashoggi has emerged as one of the biggest foreign policy challenges for Trump. However, President Trumps response to the incident so far is seen as an attempt to somehow deflect national attention away from the issue. Paul R. Pillar – Non-resident Senior Fellow at the Center for Security Studies of Georgetown University – states that Trump clearly has been reluctant to respond at all to the episode. He initially tried to justify his inaction by repeatedly remarking that Khashoggi is not a U.S. citizen and that the incident happened in Turkey, not the United States. However, Khashoggi is a legal U.S. resident and has children who are U.S. citizens. The rapidly growing bipartisan uproar over the case is creating pressure on Trump. Trump’s likely way forward on that matter would be to formulate the minimum possible response with minimum disturbance to U.S. relations with Saudi Arabia– that may be in the form of invoking the Magnitsky Act, which provides for sanctions against individuals, including foreign government officials, who have committed human rights violations. The Kingdom recently organized the much touted, economic conference nicknamed- ‘Davos in the Desert conference’. However, the critical conference was overshowed by the Khashoggi’s case. Several businesses and government figures have pulled out of the conference due to global outrage over Khashoggi’s death. Reportedly, MBS briefly attended a high-profile economic forum. The crown prince arrived at the forum later in the day after attending a meeting at which King Salman, received members of Khashoggi’s family, including the journalist’s son Salah- –generally seen as an attempt to pacify the accusations related to the Khashoggi case. It is said that an internal concern is also brewing regarding the policies of MBS- some are of the view that even the overtures of Saudi domestic reforms are being marred by controversial allegations such as the Hariri incident, Yemen War and now the Khashoggi case. What muddied the waters was the initial Saudi denial of the event and subsequent acceptance of the atrocity and the media reports of the gruesome details including burial in the Saudi Consulate premises. The episode comes across as a totally botched operation with total disregard for international reaction. So far even President Trump has not accepted the Saudi version of events. 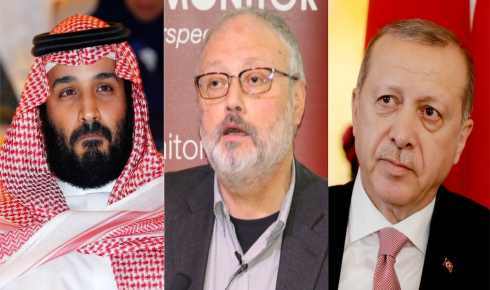 President Recep Tayyip Erdogan’s remarks calling the death a planned operation conflict with the account provided by Saudi officials, who have said the prominent journalist was killed during a fistfight when “rogue” Saudi agents had tried to bring him back to Riyadh. Intelligence officials are increasingly skeptical of the Saudi account and have warned President Trump that the idea that rogue operators flew to Istanbul and killed journalist Jamal Khashoggi without the knowledge or consent of Saudi leaders is dubious, a White House official said.